SAN FRANCISCO (KGO) -- With nice weather expected in the Bay Area this weekend and Memorial Day coming up, we're being reminded of the dangers in the ocean. Five people drowned at San Francisco beaches last year. Rip currents pose a special hazard for waders, swimmers and surfers. 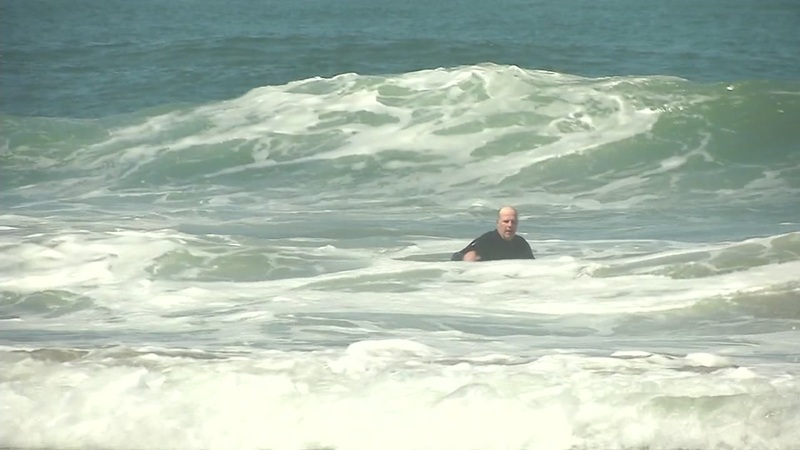 A UC Berkeley coastal oceanographer says Ocean Beach has an enormous amount of rip currents. "The surf will come in and it will look really safe out there. If you look out there sometimes, it looks benign. Where it's benign, that's where the current is ripping out, it's dampening the effect of the wave coming in and it looks like the safest spot and you get sucked right out," Francis Smith said. Smith says if you get caught in a rip current, don't fight it. You should swim parallel to the shore and ride the waves back in to the sand. He also recommends just staying away from the water if you don't know how to swim.